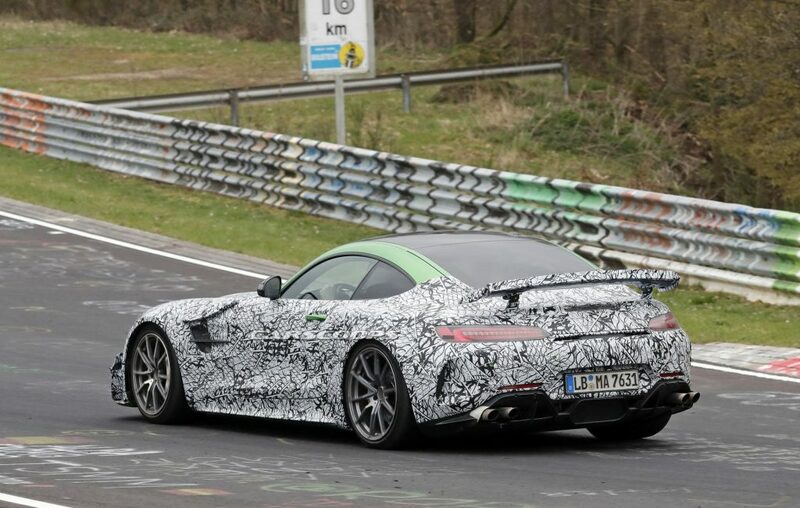 The Nurburgring seems to be a hub of activity for new cars at the moment. 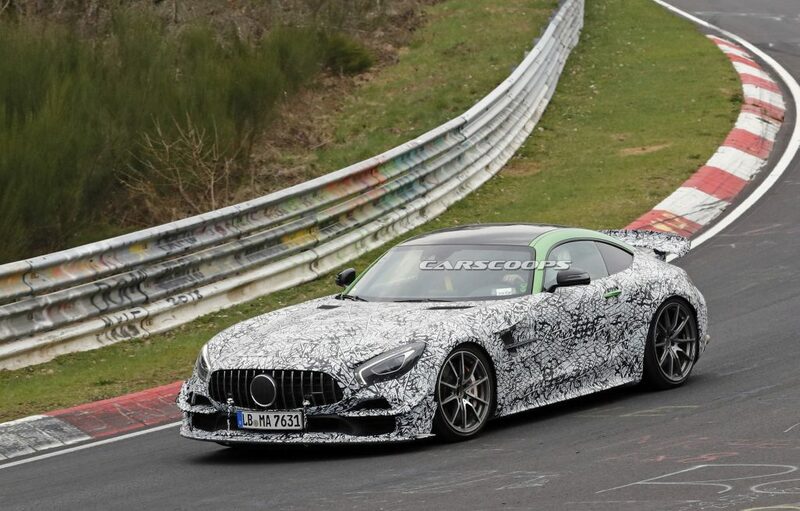 The latest high-performance machine to take to this iconic track is the Mercedes-AMG GT R Black Series and by the looks of things, it looks rather cool. 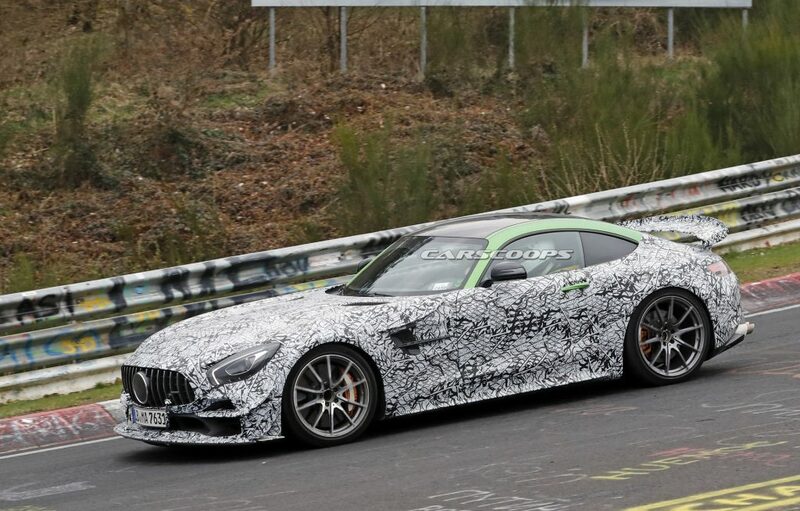 With the GT R Pro having recently gone into production, it will be interesting to see what will be setting the Black Series apart. 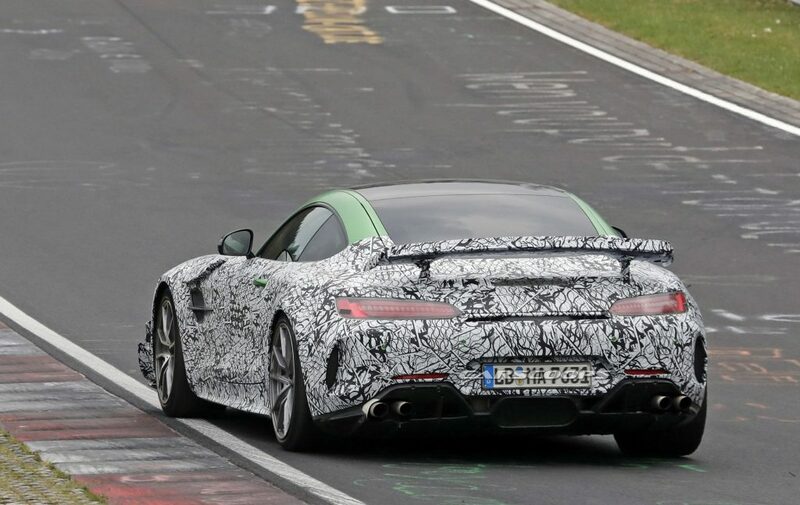 We do, however, have some clues regarding the exterior from the spy shots of the car. By looking at the front of the car, we can see a different aero package. 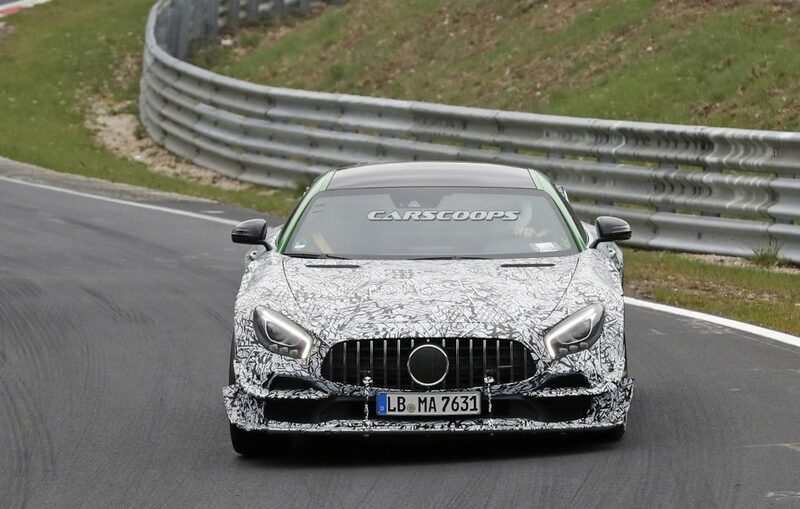 It looks like Mercedes has added some canards which start at the bottom of the front-grille and lead back to the front wheel arch. 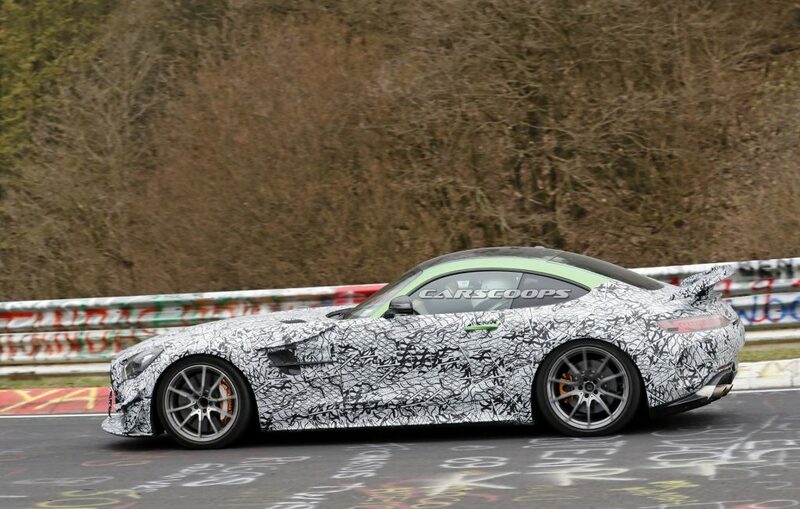 Like we have seen on the GT R Pro, the Black Series will also have support brackets connected to the front splitter but will presumably be a lot more track-focused. If you look closely, you’ll be able to see an extra canard that has been added above the side vent. The Black Series also seems to have new side skirt panels. With the car obviously expected to have more power, it means that the brakes are also presumably larger as a result. Not much is different to the rear of the car. 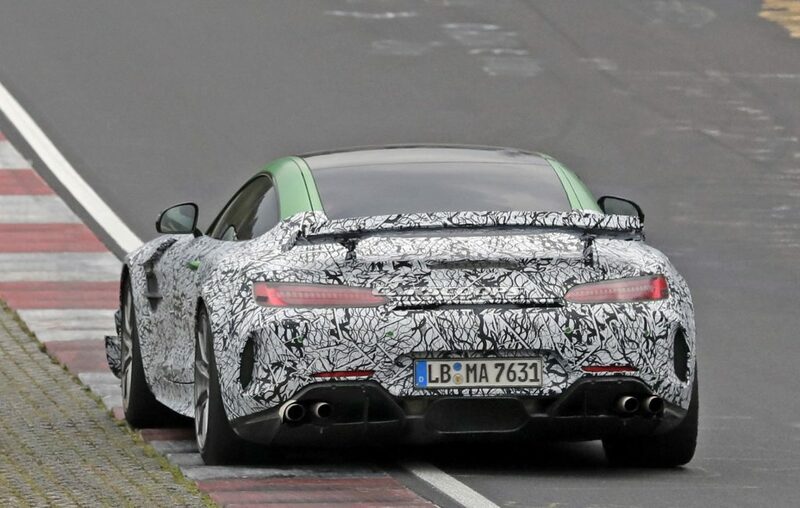 Besides maybe a bigger rear spoiler, it seems to be more or less the same as the GT R Pro. Of course, nothing has been said about what the power upgrades could be on the Black Series. 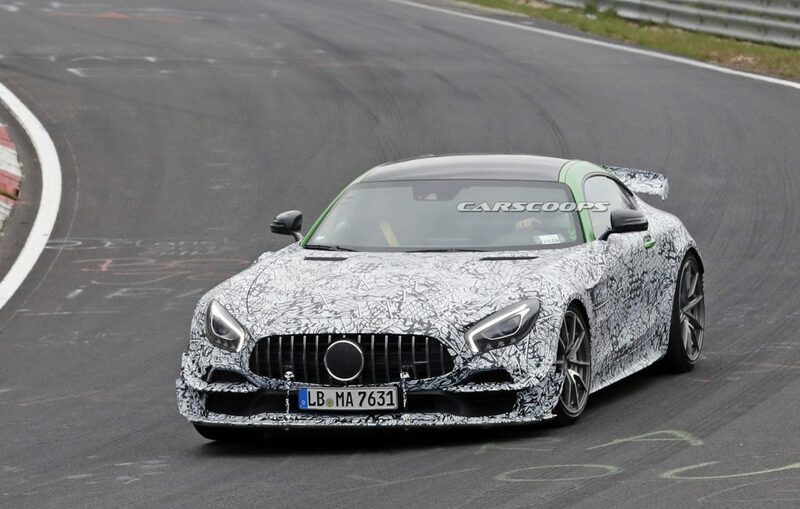 The 4.0-litre biturbo V8 that is currently in the GT R Pro pushes out 577 horsepower (430 kW), so it is probably safe to assume that the Black Series will have around, if not more, than 600 horsepower (447 kW). 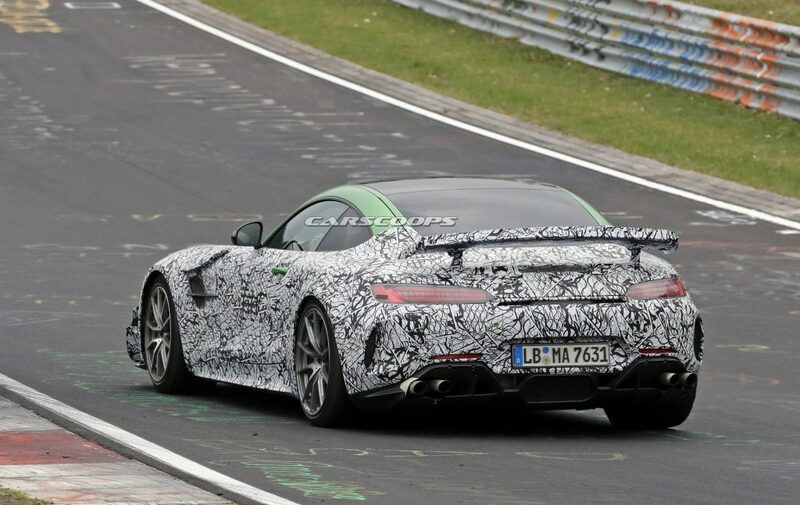 This would make the GT Black Series more powerful than the SLS Black Series, which had 571 HP (420 kW). 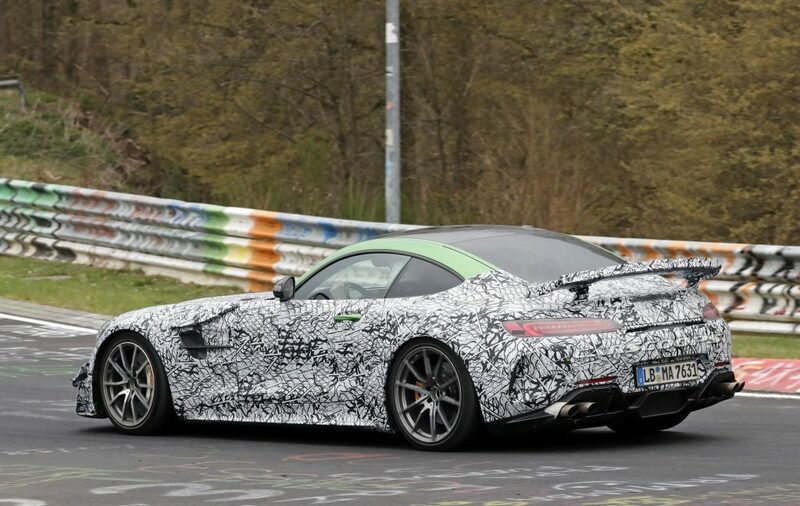 There have arguably been maybe a few too many performance variants of the AMG-GT with the GT R, GT R Pro and now the Black Series, so it will be interesting to see whether the Black Series will justify its inevitably bigger price tag.